Confused how to cancel your bumble subscription? 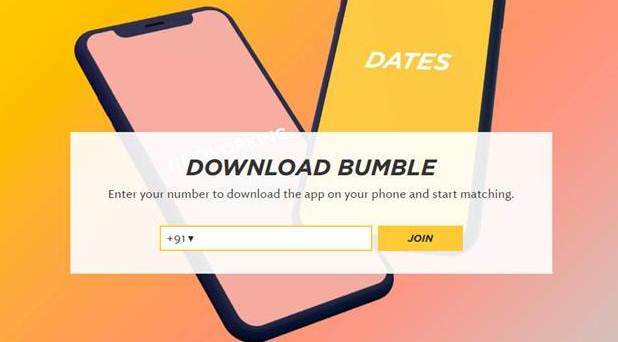 Many people use different dating apps and out of them, Bumble dating app is one of them. It is possible that if you are using the app for a considerable time, you realize that it does not fulfill all the requirements. It happens that now you are not getting exciting matches from the app. It is known that the app comes with Bumble paid subscription which may impose some pressure on your wallet. After using it, you may wish to Cancel your bumble Subscription. If interested also see how to cancel your Netflix subscription. The good news is that now you can delete your bumble profile from this app and you can also stop all the received notifications. The steps on how to block the notifications are not difficult. The question arise what to do if I wish to completely stop using it? You can delete the profile and can cancel every subscription. Let’s have a look at how to do these. 1 What Is a Notification on Bumble? 2 How To Change Notification Of Your Bumble Subscription? 3 How To Cancel Notification Bumble Subscription on Your Phone? 3.1 How To Cancel Notification Bumble Subscription on the App? 3.2 How To Cancel Bumble Paid Subscription? 3.3 How To Delete Your Profile on Bumble? What Is a Notification on Bumble? The Bumble app comes with eight different kinds of 8 different types of notifications. It comes with app vibrations and this notification can be turned off. Initially, when you create Bumble profile, you are inquired whether you prefer to get notifications. In case you click on Yes/Allow then you would subscribe to every in-app notifications. You may cancel your bumble notification subscriptions. How To Change Notification Of Your Bumble Subscription? Actually, there are two different ways to cancel Bumble notification settings. The first way is to navigate to the Bumble Settings. From this setting, you can cancel all Bumble notifications. The second one to disable all Bumble notifications is via Settings of your phone. Let’s look at the steps to do it. How To Cancel Notification Bumble Subscription on Your Phone? Step 1: First of all go to Settings and then you would observe red Notifications symbol shown in the mid part. Now click over the icon and this will show you a menu that comprises of every app notifications present on your phone. You can easily change these notifications by tapping on the particular app and then making the notifications on or off. Step 2: In this step, you need to find the Bumble App. After you enter the Notifications settings from your phone, it is certain that you could see the app so just click on it. It will take you to its notification settings. When you toggle the button located on the top right side, you will be able to cancel notification subscription on your phone. How To Cancel Notification Bumble Subscription on the App? Step 1: Initially, you need to log in to the Bumble app. From this app, navigate to the profile and then tap on Settings. You will be directed to a menu from where you are able to alter every notification in the app. After you tap on the Notification settings, observe that you will see a menu to cancel or disable every Bumble notification. Step 2: In this step, you need to cancel the app notifications one after the other. You will get two notification options: (i) push notifications and (ii) email. It is known that the email notifications are disabled by default. Also, you are required to cancel all your subscriptions to Bumble by turning off the yellow button shown on the top right corner. How To Cancel Bumble Paid Subscription? Step1: First of all, open the Settings menu from the iOS device and then scroll till you get iTunes & App Store. After you unlock this menu, it is certain that you can get your Apple ID shown on the top. Once you click over it, you will see a window. Step 2: From the popped up window, just click on the View Apple ID for logging into your account. After that, you can enter into your Account Settings and then scroll till you get the Manage section within the Account Settings. You can see the active subscriptions from Manage menu. Now you need to get the one which is related to the Bumble app, just click over it and then turn off the button named Automatic Renewal. How To Delete Your Profile on Bumble? Step 1: First of all, log into the app and then navigate to the Settings menu from the profile. You will see the Delete account button from the lower right corner to delete your bumble account. Once you click over it, you will see one window asking you the reasons why to cancel it. Now you can either choose to Cancel if you wish to trace back into the menu or else you can select one of the reasons. Step 2: To uninstall your bumble profile, choose one of the reasons and one more window gets popped up. This window will ask you to type the word delete in form of the last step for making sure that you remove the account there. After you type delete inside the window shown to you and you click on the Confirm button, you would be directed to the log-in screen. Now, from here, there are two options –either to make a new account or to uninstall this app. This is all about cancels your bumble subscription or deleting your profile. Dating apps are prevalent in the last several years but the prime concern is that users do not gain access on how to cancel the subscription like if they wish to unsubscribe. The Bumble app gives you the flexibility of managing Bumble subscriptions and notifications easily. How To Pay for Tinder with a PayPal Account? Thanks for this post …very useful post ever… through these easy instruction we can avoid bumble account… like your ideas… keep it up!!!! !